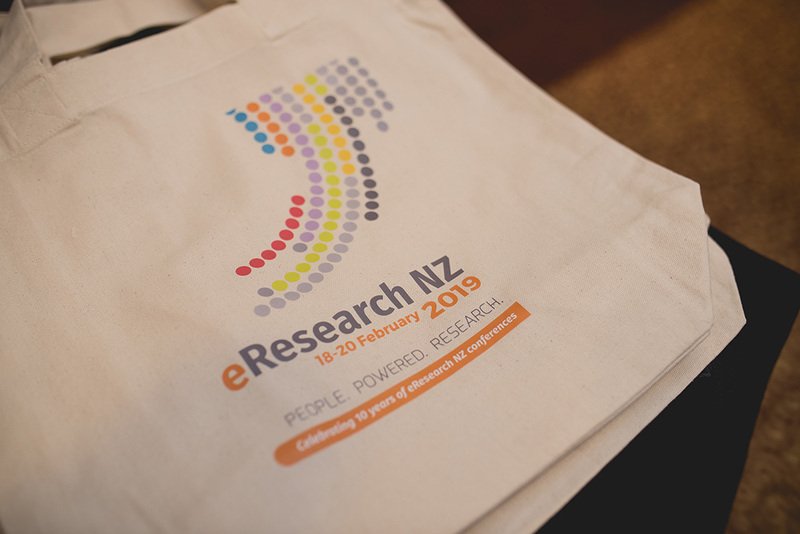 More than 150 leaders and innovators from research communities across New Zealand and overseas gathered in Auckland 18-20 February for eResearch NZ's 10th anniversary event, co-hosted by NeSI and REANNZ. Amanda Barnard, Chief Research Scientist within Data61 at CSIRO, was the opening keynote, speaking about artificial intelligence and data-driven material design. The ability to extract knowledge and insights from data continues to be a vital component of the research process today, she said, noting that "89% of the work is the data science that comes before the artificial intelligence." Collaboration also remains key to leveraging the power of today's digital tools, she added. Partnerships - particularly multi-disciplinary ones - are what can help researchers find new ways of approaching and solving problems. Gary Evans, the Chief Science Advisor for the Ministry of Business, Innovation and Employment (MBIE), also spoke on Day One, sharing an overview of New Zealand's science system, the new research, science and innovation (RS&I) system being developed, and what challenges and opportunities lie ahead for eResearch in NZ. MBIE have begun a process of consulting with scientists, industry, and Māori communities across the country to inform the next refresh of the national science investment. A big question being asked as part of those consultations, he noted, has been: how do we have a more diverse workforce in research? The "people powered research" messages within both of these keynotes carried through the rest of the first day's sessions, with talks showcasing innovative eResearch applications, digital scholarship, and examples of local and global developments supporting research. On Day Two, University of Waikato Assoc. Prof. Māui Hudson stepped in for Tahu Kukutai, who had a last-minute conflict, to speak on the evolving models of data governance and ethics, value creation, and benefit-sharing, particularly as it relates to indigenous data. Unfortunately, he noted, the priorities and values shaping the evolution of data ecosystems rarely reflect Māori data soverienty principles. Positive change is afoot, however, as recognition and collaboration around these issues grows, and MBIE's Vision Mātauranga policy is playing an important role in these approaches. Next, Ruby Mendenhall, an Associate Professor in Sociology and African American Studies from the University of Illinois, Urbana-Champaign, shared a glimpse of her work integrating text mining and other advanced computing tools in social sciences and humanities research. Her team - a diverse group of researchers, computer scientists, and librarians - searched 800,000 periodicals in JSTOR (Journal Storage) and HathiTrust from 1746 to 2014 to identify the types of conversations that emerge about Black women’s shared experience over time and the resulting knowledge that developed. As they navigated the project's challenges around data recovery, data visualization, and anlysis, they relied on the unique skills and expertise each member of the team brought to the project. Day two continued with workshops on research data management, talks on digital tools (ranging from Globus data transfer tools to the NeSI and Pawsey supercomputing platforms) and Birds-of-a-Feather (BOF) sessions on cloud, sensitive data, digital preservation, and international research infrastructure strategies. Day three began with Liz MacPherson, Government Statistician and Chief Executive of Stats NZ, speaking on NZ’s Integrated Data Infrastructure (IDI) — a research database with more than 166 million data points, and more than 50 different datasets integrated. Maintaining trust and confidence around that data has been essential to the sustainability of the system, she said, and NZ Stats is upgrading its infrastructure with aim of making the database more accessible, and eaiser to link and refresh its contents. eResearch NZ's final keynote was Barbara Chapman, a Professor of Applied Mathematics and Statistics, and of Computer Science, at Stony Brook University. She walked through the evolution of OpenMP, a parallel programming interface that has become one of the world's most widely adopted approaches for effectively using intra-node and inter-node parallelisam to harness the power of today's high performance computing architectures. 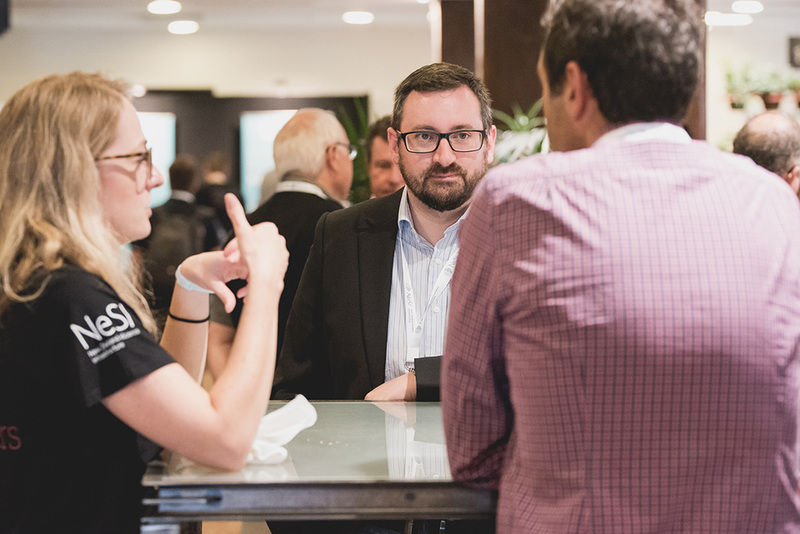 As a member of the OpenMP Architecture Review Board since 2001 and founder of facilitating researcher participation in the development of the OpenMP standard, Barbara has been at the forefront of this digital tool's use in and support of research since OpenMP's early days. She invited anyone using OpenMP or interested in learning more about it to attend the upcoming OpenMPCon conference coming to Auckland 9-11 September. 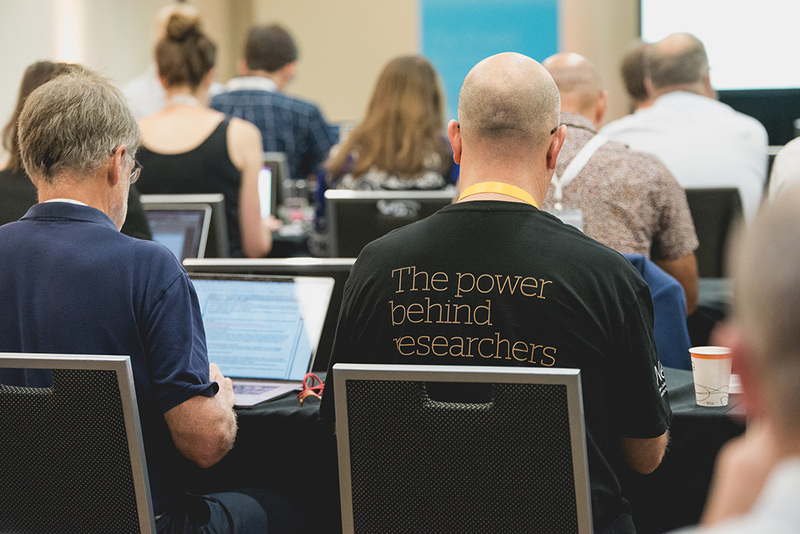 Overall, the 10th eResearch NZ event was a productive and inspiring three days, with conversations sparked and connections built across multiple domains, communities, and geographic locations. Thank you to everyone who presented, attended, and supported the event. Special thanks to our co-host REANNZ, and our sponsors: Microsoft (Platinum), Cray (Gold), Dell / EMC (Gold), Figshare (Bronze), and Catalyst Cloud (Coffee Cart). Looking ahead, eResearch NZ 2020 is headed south next year, to be hosted by Genomics Aotearoa in Dunedin. Dates and location details will be confirmed over the next few weeks. 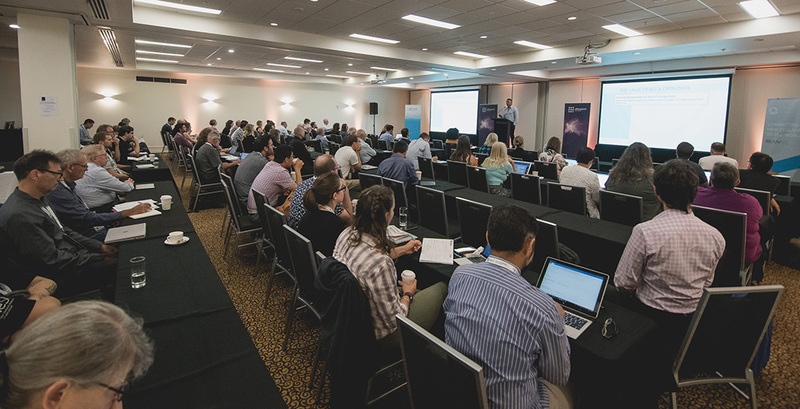 Photos from eResearch NZ 2019 have been posted to the event website, and presentations are in the process of being uploaded to Figshare for wider distribution. The conference website will be updated with links to the collection on Figshare once everything is online.